Developers of embedded systems have to meet an enormous amount of requirements. 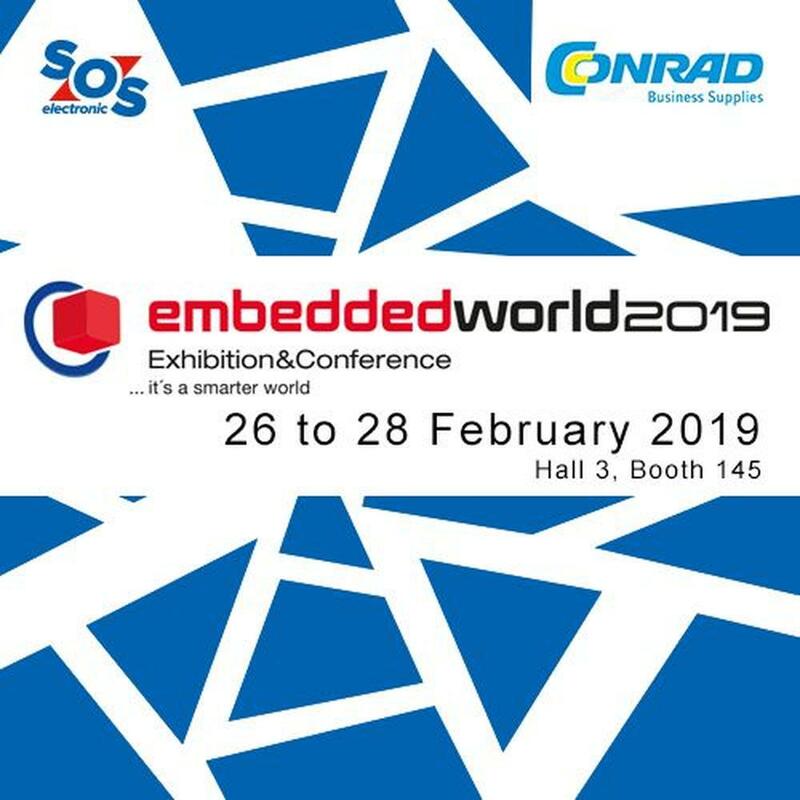 The Embedded world exhibition in Nuremberg is an opportunity to save time spent by searching for new information and to get straight to the centre of innovations, trends and technical novelties. In 2019, at the Exhibition Centre in Nuremberg, the exhibition will provide an overview of the latest developments in embedded systems, the Internet of Things (IoT) and distributed intelligence. Since SOS electronic is part of the German holding Conrad Electronic, you will find us in hall no. 3, at stand no. 145 as part of the Conrad electronic exhibition area. Stop by for an inspiring conversation about your plans, we'll be happy to find a common path.